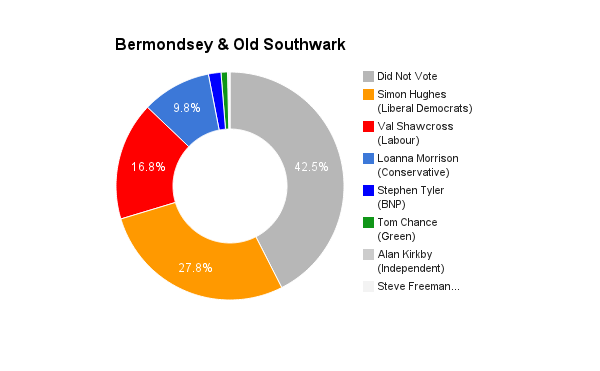 Bermondsey & Old Southwark is located in Greater London. It was created in 2010 as a result of minor boundary changes. The current member of parliament is the Liberal Democrat Simon Hughes who has served since 2010 (1997 before the boundary changes).